Our well-established relationships with manufacturers allow us to purchase directly and eliminate distribution margins, while being able to offer factory authorized service. A data centre is a highly complex operation that depends upon many different components all working together interdependently. Determining the right equipment always depends on the very specific demands and expectations for each data centre taking into account your business needs and every possible operational contingency. To ensure we get the right equipment for your data centre, CRSC is 100% vendor neutral, working with any and all reputable suppliers. That doesn’t mean we don’t have preferences. Through decades of combined experience we’ve learned which equipment works best in all situations and for all budgets. We’ll make recommendations, but ultimate decisions about which equipment to go with will be made together. Our data centers meet the full Tire 1, 2 and 3 data center level standards set aside by the Uptime Institute. The equipment used together with all IT infrastructure is carefully chosen by Uptime Institute Accredited Tier designers. 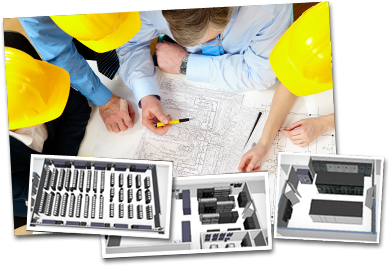 This enables us to provide our clients with a maintainable design with no downtime. Maintaining data centre uptime is all-important and constant uptime means a round-the-clock, uninterruptible power supply. If power to your data centre is lost, even just for moments, it can result in wasted time and money. The right equipment for the power and electricity infrastructure will give you the security of multi-layered redundancies so that when the local power supply goes down, you stay up. 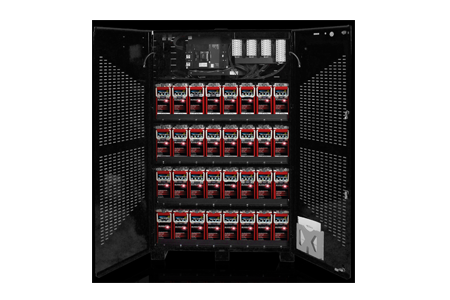 Most of the other equipment decisions in your data centre are shaped by how the data centre will be powered. CRSC works with our clients to map out the entire power stream from the local utility right to the servers in your racks, including everything from cabling, switches, and power distribution units to batteries and the uninterruptible power supply (UPS) and backup generators. Each step along that path includes multiple choices about which equipment to use; we review all of the equipment options at each step and share our suggestions about what makes the best sense for your business. CRSC has worked with every reputable vendor all along the power stream. Here is just a snapshot of what those vendors offer and the key specs of the equipment that will help power your data centre. 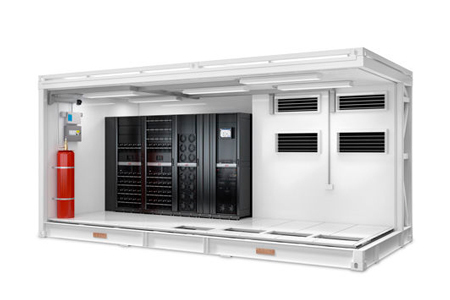 Your data centre is a mission critical business operation dependent on technologically advanced but sensitive and often interconnected equipment. Even minor damage can have catastrophic cascading effects. CRSC has the hardware and the technology to protect it. Fire Protection: Because of how easily servers and data can become damaged or lost in the event of a fire or from water damage, data centres require specialized fire protection equipment including highly sensitive smoke detectors and waterless sprinkler systems. Security: It is also important to keep your data centre safe from intentional or unintentional damage caused by unauthorized personnel. While many organizations employ full time security guards at their data centres, other equipment is also commonly used including surveillance cameras, and restricted access technology such as biometrics and swipe card access. Data centre managers focused on efficiency are usually obsessed with temperature. 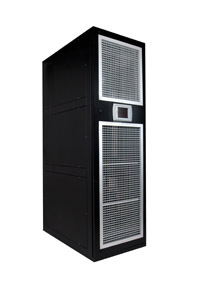 It’s a critical concern because an efficient data centre is neither too hot nor too cold. It’s a challenge because the IT hardware—the servers in the server room—generate an enormous amount of heat and, consequently, between 30% and 50% of the energy costs of a data centre can be attributed to your cooling systems. The right equipment to get the right temperature will depend on a number of factors including the original computer room design, future capacity and efficiency concerns. IT cooling infrastructure may include items such as in line/in row air conditioning, computer room air conditioning (CRAC), condensers, chillers, pipe installations, water heat exchangers and water distribution cabinets. Keeping IT equipment operating and ensuring your organization’s uptime. As a result, data centres are a significant investment. And without proper maintenance, the reliability of your equipment and up time of your data centre is compromised. When determining the right equipment for your data centre, don’t forget to inquire about recommended maintenance. The maintenance of your equipment should be performed by experienced and trained technicians. Contact us for more information on data centre maintenance at service@crsc.ca.